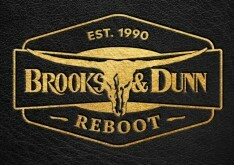 Prior to their break up in 2009, Brooks & Dunn were setting about releasing the retrospective album #1’s…and Then Some. 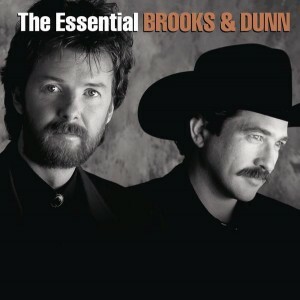 Now titled The Essential Brooks and Dunn, and issued in 2012, the album remains the very same collection of songs. What you see here, then, is our original review of #1's...and Then Some. Somehow, given the fact that the duo would cease to be after their 2010 tour, this album took on a higher profile than folks might’ve expected it, basically the duo’s third “greatest hits” album, to have. Instead of being a “Greatest Hits, Vol III”, the album works out well as a career-spanning, career-defining capper to a remarkable 20-year run filled with unprecedented awards, sales and tours. Not bad for two guys who really seemed to be oil and water, both on and off stage. They were a true musical marriage and this album serves as their musical autobiography, with 30 of their 40 singles covered here, 20 of them #1 hits. Read our thouhts on the record Somehow, given the fact that the duo would cease to be after their 2010 tour, this album took on a higher profile than folks might’ve expected it, basically the duo’s third “greatest hits” album, to have. Instead of being a “Greatest Hits, Vol III”, the album works out well as a career-spanning, career-defining capper to a remarkable 20-year run filled with unprecedented awards, sales and tours. Not bad for two guys who really seemed to be oil and water, both on and off stage. They were a true musical marriage and this album serves as their musical autobiography, with 30 of their 40 singles covered here, 20 of them #1 hits. All of the touchstone hits from the 1990s are here, from “Brand New Man,” and “Boot Scootin’ Boogie” to “My Maria” and “Rock My World (Little Country Girl).” After a disastrous album released in 1999 (Tight Rope) Brooks & Dunn had to come back with something ‘big’ and they did when they released their 2001 album Steers & Stripes. The single “Ain’t Nothin’ ‘Bout You” proved that Kix and Ronnie were still quite relevant to radio and fans. In fact, this is the single that got this writer to become an active fan of the duo instead of somebody who ‘didn’t mind it’ when they came on the radio. 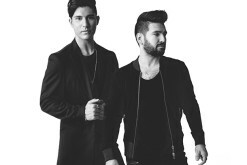 From here the duo released relevant radio hits for the rest of the decade. When the tragic events of 9-11-01 happened, Brooks & Dunn already had “Only In America” to remind folks of the beauty that is America and how we’d get through the hurt we were feeling. The song, which also was the first time that Ronnie sang the lead vocal on a song written by Kix and not him, really helped me move on to my life again. The song has since been used by both democratic and republican conventions (and will for years). A hit in the UK for one of its songwriters, “The Long Goodbye” is a case where Ronnie Dunn is able to flex his considerable vocal gift and even if the production gets slightly bombastic, the song still is very much remembered as one of the soft moments on Steers & Stripes. By the time Brooks & Dunn had gotten to their album Hillbilly Deluxe they were at the peak of their 2nd wave of commercial success. “Red Dirt Road” cemented the homespun charm of the duo while they then released “Play Something Country,” a song that now gets played in bars across America virtually every night. The follow-up single may just be the singularly best track Ronnie Dunn has ever sung. “Believe” is one of those songs, even if you aren’t very faith-filled, that just hits home, largely because of Ronnie Dunn’s spectacular vocal and the great story weaved into the verses. Another great Ronnie Dunn vocal is the hit from Greatest Hits Volume II, “It’s Getting Better All The Time,” a song which married beautiful violins and cellos with soft piano to give Brooks & Dunn a stand-out hit. The two new songs on this collection, the mid-tempo “Indian Summer” and up-tempo romp “Honky Tonk Stomp” work well within this compilation and as good reminders of Brooks & Dunn’s vast hits. While The Essential Brooks & Dunn doesn’t have ALL of Brooks & Dunn’s hits, it does have most of their essential stuff and of the hits they missed here, you can always pick up their previous Greatest Hits packages or simply download the singles digitally. People are indeed ‘gonna miss’ Brooks & Dunn when the duo is ‘gone,’ even if Kix & Ronnie don't ever 'go away.' 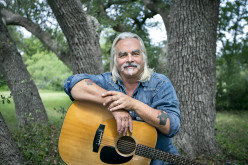 (Dunn released "Ronnie Dunn" in 2011 and Kix Brooks, in addition to the American Country Countdown radio program, has released his debut single "New To This Town" in early 2012).